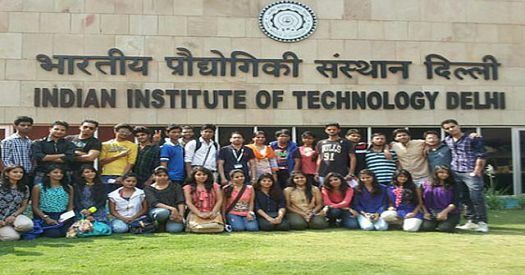 IIT Delhi Recruitment - 55 Posts Of Engineer, Superintendent, Assistant IndiaJoining.Com – Govt Jobs, Sarkari Results and Much More! Indian Institute Of Technology Delhi was set-up by the Govt of India with a vision to contribute to India and the World through the excellence in scientific and technical education and research and to serve as a valuable resource for industry and society. To fulfill the needs of it’s requirements Indian Institute Of Technology is in the process to recruit and select on the posts mentioned below. Here the list of latest vacancies in IIT Delhi. Find here the various job openings in IIT Delhi. Check the required eligibility standards, qualifications, and experience criteria and apply Now. Qualification: M.Tech degree in Polymer Science & Engineering and/or relevant areas. Age Limit: minimum 18 years to maximum 28 years as on 18.12.2017. How to Apply: Eligible candidates may attend the walk-in interview bringing with their all documents in original as well as photostat copies. Interview will conducted as per schedule given below at CPSE, IIT Delhi. See the notifications to download detailed recruitment advertisement, forms and other annexures. Bachelors Degree in Civil Engineering with 02 years of relevant experience in Mechanical/Air-Conditioning/Computer/Networking/Electronics & Communication Engineering backgrounds. Master Degree in Science/Computer Science or B.E/ B.Tech with one year relevant experience. Proficiency in the use of a variety of computer office applications like M.S Word, Excel, Powerpoint or equivalent. Master Degree in any discipline. 01 year experience. Proficiency in the use of variety of computer office applications. M.Com with 01 year experience. Knowledge of Accounting Software like Tally, Pay Roll Accounting, e-TDS. Proficiency in typing in English/Hindi on computer. Master Degree in any discipline preferably in Science with PG Diploma in Journalism and having 01 year experience in Proof-reading / Editing. Should have knowledge of all aspects of production of journals/books. Should be well-versed with typography and modern production processes/software involved in the production of publications. Should have good command over English and Hindi language. Master Degree in Science/Computer Science. Proficiency in the use of a variety of computer office applications like M.S Word, Excel, Powerpoint. Degree in Hotel Management with at least 02 years experience. Proficiency in the use of a variety of computer office applications. Bachelor’s Degree in Science. Proficiency in the use of a variety of computer office applications. Selection Process: Eligible candidates will be shortlisted/selected on the basis of their performance in written examination and/or interview. Application Fee: Rs.50/- (Rupees fifty only) for OBC category has to be paid through SBI I-Collect. No fee is required for SC/ST & PwD category. How to Apply: Candidates may submit their applications by online mode through online application system at WEBSITE_NAME. The print out of the completed signed application along with prescribed fee and all relevant educational and experience certificates must be sent to – Recruitment Cell, Room No. 207/C-7, Adjoining to Dy. Director (Ops)’s Office, IIT Delhi, Hauz-Khas, New Delhi–110016. Download detailed recruitment advertisement, forms and other annexures to apply online.